​Approximately 350 thyme species exist. Some of these species are good plants for gardening and possess a sweet fragrance and pretty lilac or pink flowers. Despite the fact that the flowers are quite small, there are many of them which produce nectar and therefore attract bees. Some of the most flavorful honey can be obtained from the nectar of thyme. ​The vast range of differences between each of the plants makes them each unique. 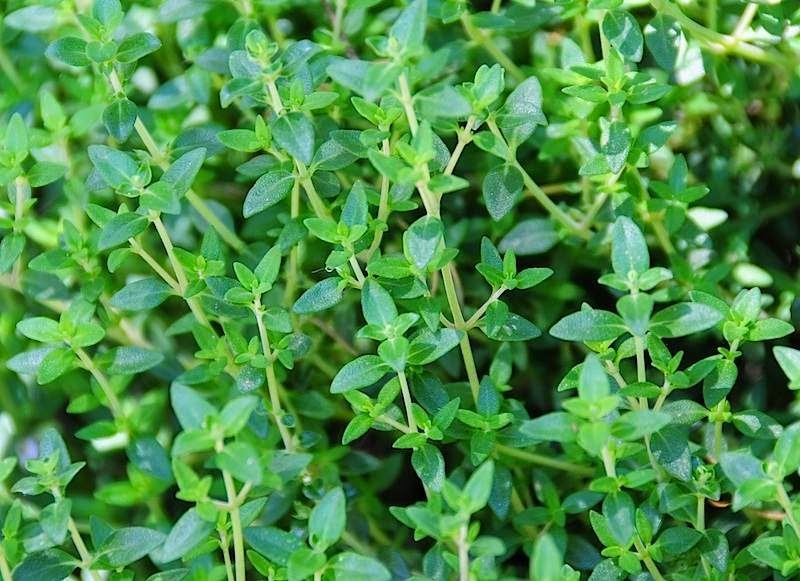 As such, there are a number of different names for the various thyme types which include Rainbow Falls, Archer’s Gold, Golden King, Goldstream, Silver Posie, Silver Queen, and Lemon Curd. All of these plants have different scents which can generate aromas such as camphor, lemon, orange, celery, tangerine, caraway, pine, as well as eucalyptus. The different flavors and aromas are due to the subtle differences in the essential oil within the plant. The essential oils within thyme contain large amounts of thymol, which is a strong antibacterial agent as well as a strong antiseptic and antioxidant. The oil can be used within mouthwashes in order treat mouth inflammations as well as infections of the throat..
from seed. All the Thymes need a position in full sun. ​People in ancient Rome used thyme in order to treat melancholy and added the herb to alcoholic beverages and cheese. The ancient Greeks would use thyme in incense. During medieval times, the herb was used in order to infuse the user with vigor and courage.